Your kids’ toys are now as smart as yours. For proof, look no further than the floor of the 2016 International Toy Fair. Held from Feb. 13 to Feb. 16 at New York’s Jacob Javits Center, the show featured thousands of the newest toys that’ll be hitting store shelves this holiday season — and most seem to come with some kind of app or Web connectivity. While we saw a slew of techie toys at the Fair, these five stood out as the most interesting and innovative. Want to get your kids on the fast track to coding? Fisher-Price’s $50 Code-a-Pillar will do just that. Going on sale this holiday season, the Code-a-Pillar is designed to teach kids as young as 3 the basics of problem-solving and programming. 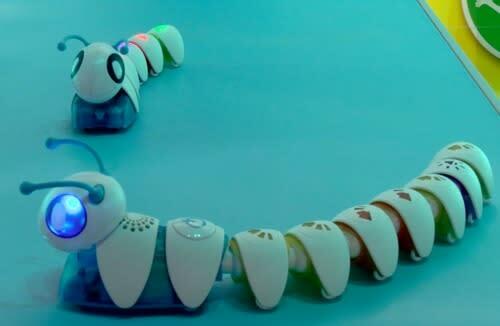 The Code-a-Pillar comes with eight segments that connect to the electronic insect’s head via USB. Each segment represents a single instruction, such as turn left, go straight, or play music. Kiddies connect the sections they want to the Code-a-Pillar’s head in the order they want, and press the power button. When activated, the Code-a-Pillar will then execute its programmed moves. Barbie’s Dreamhouse is getting a significant upgrade this year, thanks to addition of voice-recognition technology. 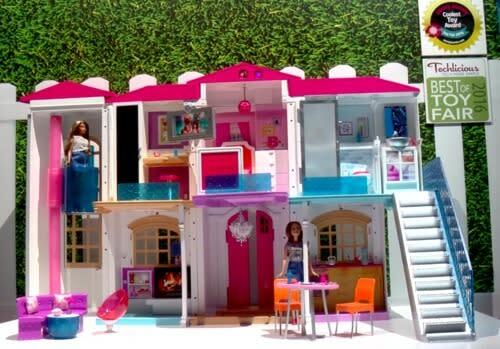 The $300 Hello Barbie Dreamhouse is the latest version of the doll’s massive mansion. But this time, kids can use their voices to control things inside the house, like the lights, the shower, and the oven. Your kid can even kick off a dance party of their own by telling the house to activate party mode. The Dreamhouse’s voice-recognition feature requires that the house be connected to your home Wi-Fi, so it can send what you say to the cloud and provide you with a proper response. There’s even an app that lets you customize the house’s lights and sounds. Barbie will be living large when the Dreamhouse goes on sale this fall. 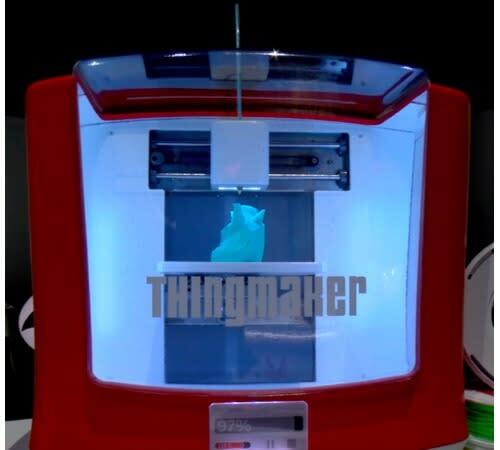 If your kid is the creative type, there’s Mattel’s ThingMaker 3D printer. A reimagining of the classic ThingMaker from the 1960s, this toy — which goes on sale in time for the holidays for $300 — lets your little ones design and print their own action figures and jewelry. Kids design what they want to print via the included ThinkMaker app for Android and iOS. From there, they can choose the material they want their toys to be made of, along with designs and colors. Figures printed with the ThingMaker can even have articulated joints, so they can be posed. 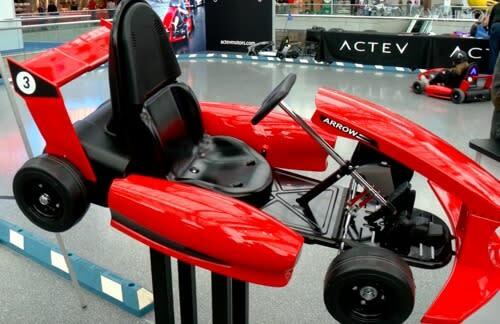 For kids with a need for speed, there is the Actev Motors Arrow Smart-Kart. The go-kart, with a top speed of 12 mph, uses front-mounted ultrasonic sensors to recognize obstacles in its path and slow down before it crashes into them. Using the Actev app, parents can control the go-kart’s top speed, as well as activate its emergency brakes. You can even set up a geofence area, outside of which the Actev will stop working. The Actev go-cart isn’t cheap, though: It’ll cost $700 when it goes on sale this May. Does your kid love playing video games? Then he or she will love Bloxels by Pixel Press. 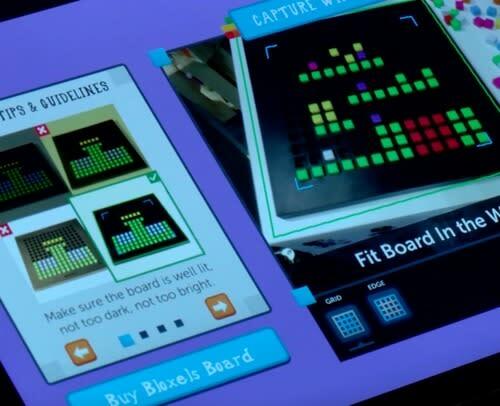 Using a 13-by-13 board and the Bloxels app, kids arrange a series of plastic pixel squares into tiny slots on the Bloxels game board. Each block square corresponds to an element in the game: green blocks represent grass, purple blocks are enemies, and so on. Using these blocks, your child can build a game level on the board then take a photo of it using the Bloxels app for Android and iOS. The app will then turn what they’ve built into an interactive game. They can then create their own character using the board, and in less than five minutes have a game they developed on their own. Bloxels is available now for $50.